Justin Robinson won't forget this performance for a very long time. The point guard surfed the wave of records that swept through Blacksburg on Saturday night as No. 10 Virginia Tech beat Syracuse 78-56. Buzzketball moved to 16-3 (5-2) for the season with the win. The senior point guard scored a career high (35), via a team record three pointers (9), all while passing Bimbo Coles for the program career assists record (548). It was another day at the office. Syracuse entered the game with a 5-1 conference record, poised to claim a share of first place with a win over the Hokies. Virginia Tech opened with its backs to the wall. 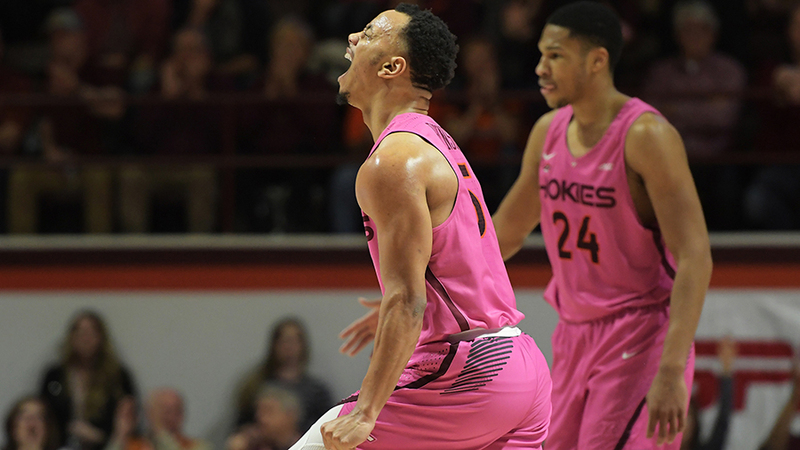 A 21-point Big Monday drubbing by North Carolina, injury to big PJ Horne, and blowout from their in-state rival put the Hokies there. It's difficult to claim that a January game was a must win game for a top-10 team, but it sure felt like it.